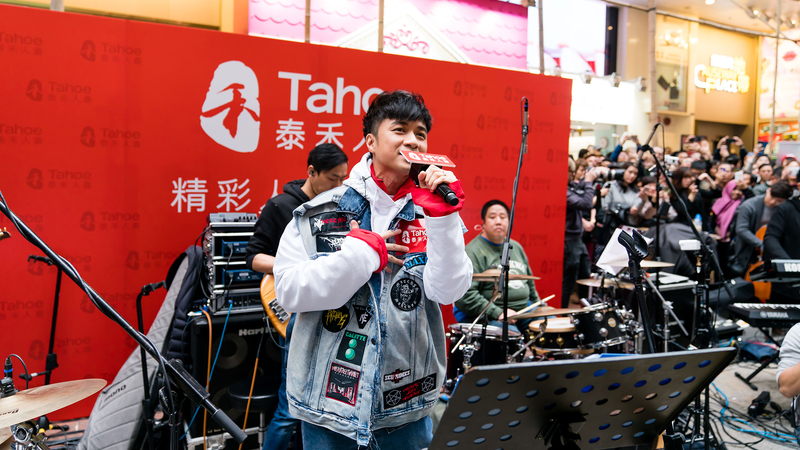 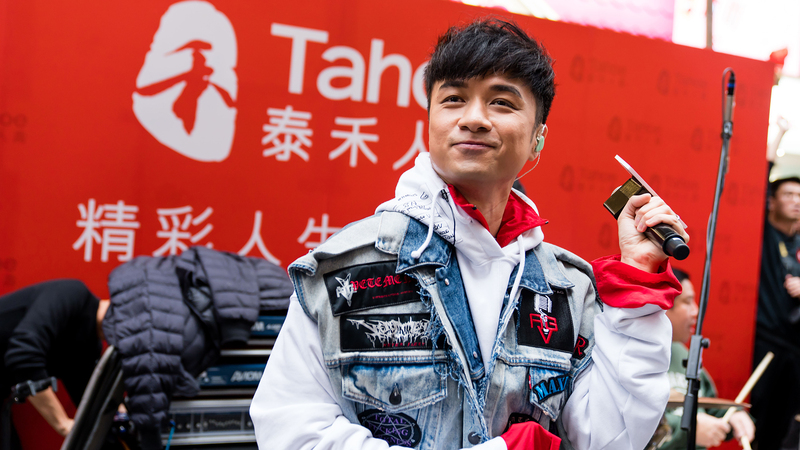 Sponsored by Tahoe Life, Singer Leo Ku, the brand ambassador, was invited to perform singing with the theme “Aspiration”, in the form of street busking at Causeway Bay. 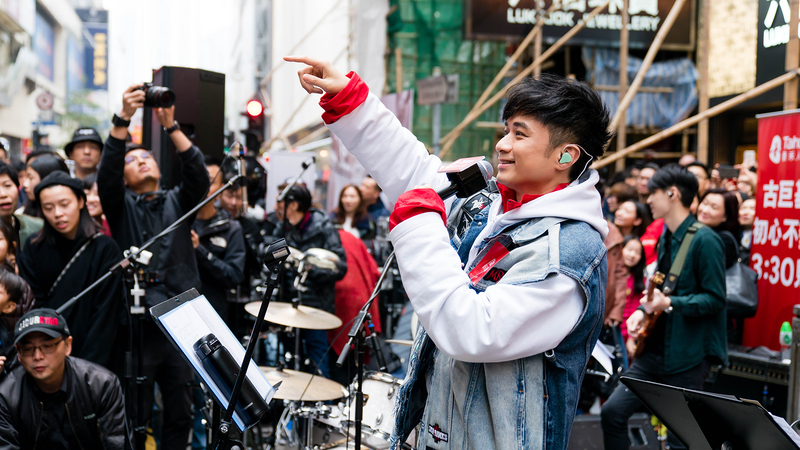 His performance with professional musicians successfully drew the eyeballs from the crowd and hence their association to childhood aspiration. 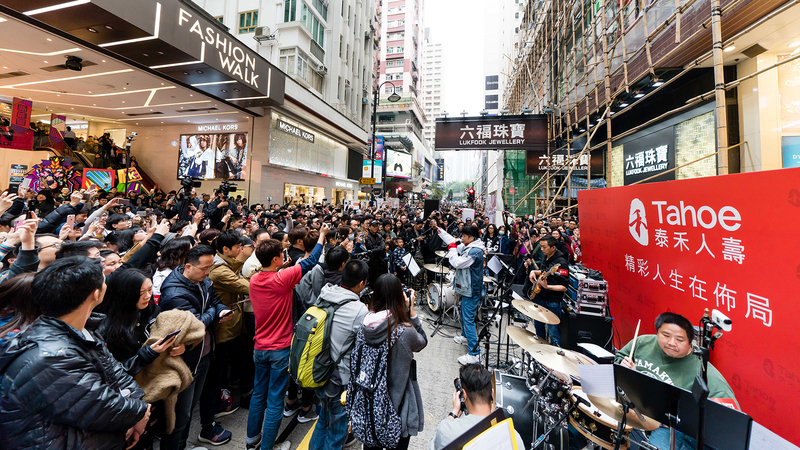 On behalf of the brand, our team also interviewed pedestrians about their life aspirations, so as to recall the brand marketing message of the year 2017.